Please note Dandiya Dhamaka - 2018 occurred in past. Group Discount can only be used for 8 or more people. 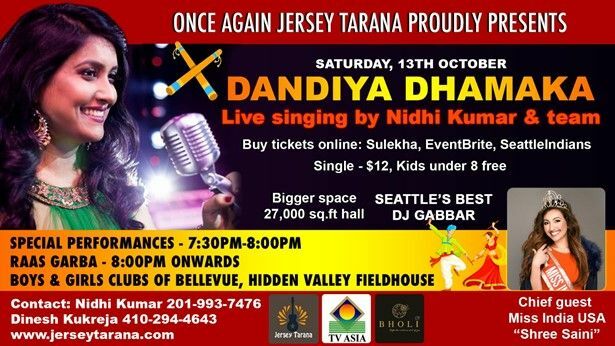 After a sold out event last year, Nidhi's Jersey Tarana is bringing back Dandiya Dhamaka with even more power. As the audience demanded, we have gotten a huge hall of approximately 27,000 square feet. 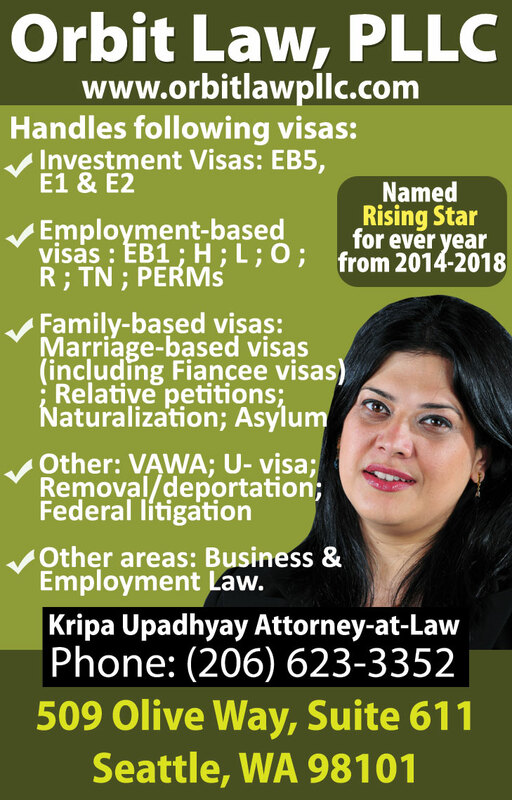 Come and dance with Seattle's best DJ and Nidhi Kumar, a proffesional singer. - Dance to impress and bring your best dress to the event! - The best female and male dancer at our event will receive a special prize. Contact us before tickets run out, and get discounts (such as the group discount we offer) to enjoy dancing with your close friends. Group discount can only be used for 10+ people. Kids 8 and under are free and kids 9 and above are counted as singles. We hope to see you there!